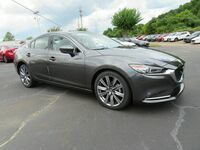 As the flagship sedan in the Gwatney Mazda of Germantown inventory, our customers have a lot of high expectations for each new model of the Mazda6 that arrives at the showroom. For the current model year, those expectations have been pushed even higher. 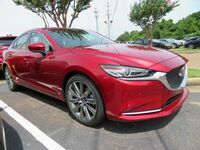 A comparison between the 2018 Mazda6 vs. 2019 Chevy Malibu is interesting and there is a fair amount of similarities between the two sedans – especially when it comes to all-important connectivity capability. 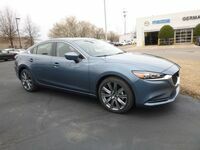 However, the current 2018 Mazda6 offers noticeably better performance figures than its Chevy Malibu competitor without suffering a meaningful disparity in fuel economy. 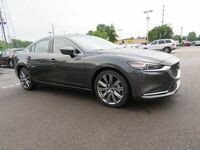 The 2018 Mazda6 is currently available at the Gwatney Mazda of Germantown showroom. To be sure, the Chevy Malibu has sent the last several years at the top of the midsize sedan class in terms of available technology. 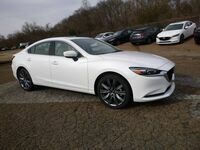 However, Mazda has made huge gains to close that gap for the 2018 model year and beyond. 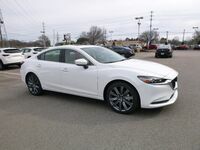 Gwatney Mazda of Germantown customers who choose versions the Touring trim and higher of the 2018 Mazda6 will have the automaker’s infotainment system that is compatible with both the Android Auto™ and Apple CarPlay™ suites of applications. Any advantage the current Malibu might have had has been erased by this upgrade. Even if a customer chooses a model that was built before this technology was included, the manufacturer offers an upgrade program that can be carried out at our service department. 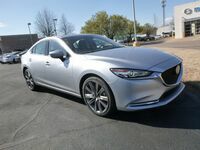 One area where the 2018 Mazda6 overmatches the 2019 Chevy Malibu is performance. 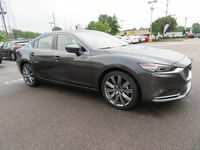 The base powertrain of the 2018 Mazda6 is a naturally aspirated iteration of the SKYACTIV®-G 2.5-liter, four-cylinder engine that is attached to six-speed manual transmission, with an option to add a six-speed automatic gear changer. It will produce 187 horsepower and 186 pound-feet of torque. On the other side of the equation, the 2019 Chevy Malibu is powered by a turbocharged, 1.5-liter, four-cylinder engine mated to a six-speed automatic transmission – making 160 horsepower and 184 pound-feet of torque. 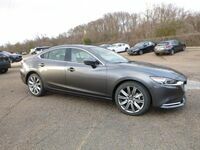 Additionally, the 2018 Mazda6 Grand Touring Reserve and Signature trims (which are new for 2018) are equipped with a turbocharger, that pushes the output as high as 250 horsepower.